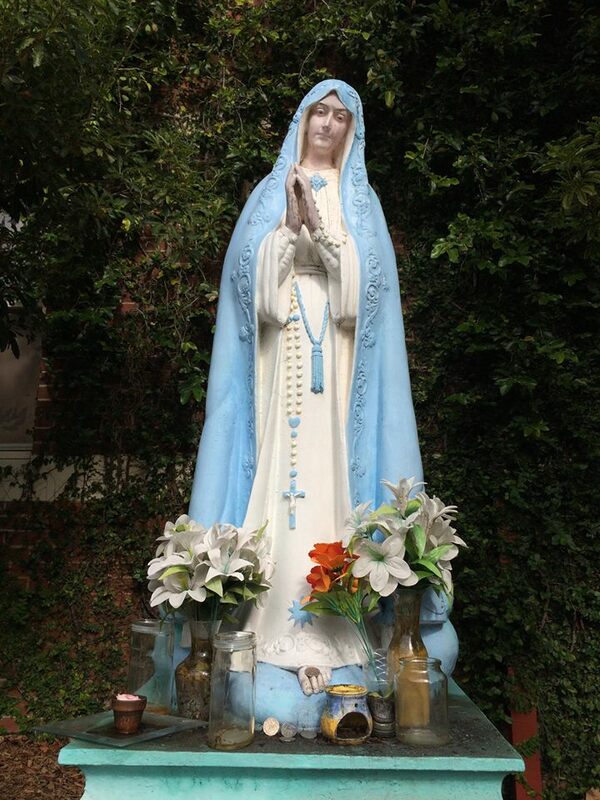 I n 1903 the sisters of Mercy from West Perth (Leederville originally formed part of the West Perth parish) opened a convent and school in Marian Street Leederville, which they called Aranmore, after a well-known isle off county Galway in Ireland. In 1904 land on the corner of Marian and Shakespeare streets, attached to the convent was purchased and handed to the Sisters of Mercy. A weatherboard building was erected and Mass was held each Sunday. On the 1 March 1919 the Leederville Parish was established and no longer was part of the West Perth parish of the Catholic Church. Father Moloney was appointed parish priest. He was born in Limerick, Ireland in 1882 and educated by the Christian Brothers at Charville, France and later studies philosophy at Mt. Melleray. Due to ill health he had to return to Ireland to continue his studies at St. Patrick’s College, Carlow, where he was ordained in 1905. After arriving in Western Australia he served as curate at St. Mary’s Cathedral, followed by periods as parish priest in Busselton, York, Victoria Park, Menzies and Wagin. Father Moloney’s new parish (the boundaries extended from Scarborough to North Beach, Osborne Park, Wanneroo and Tuart Hill) had no assets, no church, no presbytery or site for either. It had a debt of one hundred pounds for school seats and repairs to the school veranda. In March 1919 the cottage at 46 Shaftsbury Street was purchased for a presbytery, and in the same year an arrangement was made with the Sisters of Mercy, that they would give half an acre of their ground as a site for the church in exchange for land at Osborne Park. These lots subsequently became part of the Christian Brothers College, now Aranmore Catholic College. On the 28 October 1922 Teresa Leeder died and on the 10 March 1923 it was announced that the old homestead where Mrs. Leeder had lived had been purchased for the site of a new church. In total three blocks of land and fences were purchased for the sum of 900 pounds. Archbishop Clune laid the foundation stone on 6 May 1923. Work begun immediately. Father Moloney assisted with the building of the church. A severe storm caused damage setting the church back about 500 pounds. The work continued quickly and the church was finally opened on 9 December 1923. The architect was an E.H. Hamilton. Oral history from members of his family records that Hamilton designed the Capitol theatre (demolished in 1967) and the Subiaco Clock Tower. He died suddenly in 1928 aged 54 after falling into the Swan River from the Barrack street jetty. Little is known of the builder E. Russell but it is understood that local parishioners, Berry brothers, were responsible for the extensive jarrah joinery throughout the church. E.H. Hamilton’s block plan dated 28 March 1923 shows quite clearly the outline of the original building and the plan for future extension to include a larger sanctuary, transepts and tower. In 1930 the address of St. Mary’s Church was changed from Shaftsbury to Franklin Street when the street was renamed, and gazetted on 20 June 1930. Residents in the area had requested the change as the streets nearby had similar sounding names i.e. Shakespeare and Salisbury streets. Although it is not documented, the name may have been in honour of the Lord Mayor of Perth, James T. Franklin. In 1934 a new presbytery was constructed to the west of the church with the priests taking up residency on 5 November that year. The extension work to St. Mary’s commenced in 1937. Father Moloney helped organise fund raising and the annual fete was always a huge success. The extension to the church was completed in 1938. Father Moloney was very involved in the design and supervision of the work that was carried out. The following is a description from The Record newspaper of the opening ceremony, conducted by Archbishop Clune on the 13 February 1938. The recently completed Church of St. Mary’s Leederville, was blessed and opened by His Grace the Archbishop on Sunday, 13th [February 1938] … The extensions include two bays to the nave, a spacious Sanctuary, two Sacristies, a baptistery, and two side alters. In the Sanctuary a beautiful Stained-glass window features the crucifixion and the Last Supper, the work Matthieson and Gibson, of London and Melbourne. A terrazzo Communion Rail, made by Franzan Bros., Perth, encloses the Sanctuary. The sacred edifice is crowned with an imposing tower and spire, a landmark for miles around and the whole structure is a magnificent addition to the Ecclesiastical architecture of the Archdiocese. The new church, which is spacious, will accommodate about 200 people. On Sunday at the evening devotions it was flood lit for the first time, and was an inspiring spectacle. After the Mass, His Grace congratulated Father Moloney on his achievement, and in congratulating him paid a tribute to his zeal and energy in beautifying God’s House. The new Church was a standing tribute to his work and to the Generosity of the parishioners of St. Mary’s Parish, who had now a fully completed church, on a commanding site, whose spire, like the hand of an Apostle, pointed heavenwards, leading their thoughts to high and nobler things. Archbishop Clune died on the 24 May 1935. Monsignor Moloney died on 21st February 1958 after a long illness. In 1959 Pope John XXIII issued a summons embracing the entire Catholic world. At his request an ecumenical council known as Vatican II was set up and continued after Pope John died in 1963 by Pope Paul VI. The council was aware of the need of the Catholic Church to come to terms with the twentieth-century world. The decisions it made and the changes that were brought about as a result, were the first made since the Council of Trent had met in 1545. There were many changes but three of them are of particular interest. The use of the vernacular (local language) in the celebration of the sacraments (Mass) replacing Latin. The Altar was moved to enable the priest to face the congregation. It was no longer necessary for individuals to receive absolution from a priest in a confessional. In St. Mary’s the original building had the Altar in the traditional position but this was later moved to meet the new requirements. There is still a confessional on one side of the church, but on the other side one was removed to make a doorway. There are several interesting features of St. Mary’s. One striking feature is the stained glass window situated above the altar. The lower portion depicts the Last Supper, and the one in the centre is the crucifixion. In the scene of the Last Supper, Jesus is present with his disciples seated around the table, partaking of bread and wine but there are only eleven disciples. We know from the Gospels of Mathew, Mark and Luke that there were twelve disciples present. Is this just a mistake or was it intentional not to include Judas? Chrism, Catechumen and the Oil of the Sick are all very important oils blessed and used for a number of Catholic Church rites. Traditionally, they were usually kept in a cupboard, more correctly referred to as an Ambry (Tabernacle like container) in the sacristy, out of sight of the public. In recent years the Ambry can be found in the main part of the church. In St. Mary’s it is just to the right of the altar, and clearly visible are the three decanters holding the special oils. ‘I am the voice crying out from the mountain and in the valleys of Leederville. Come let us praise the Lord. The bell was placed in the imposing 150ft tower during the extension work to St. Mary’s, which took place between May 1937 and Sunday 13 February 1938 when it was blessed and opened by Archbishop Clune. ments as is commemorated by a plaque. Then Rev Monsignor A T Langmead became the next Parish Priest. In 1992 Fr Jim Petry was appointed Parish Priest. 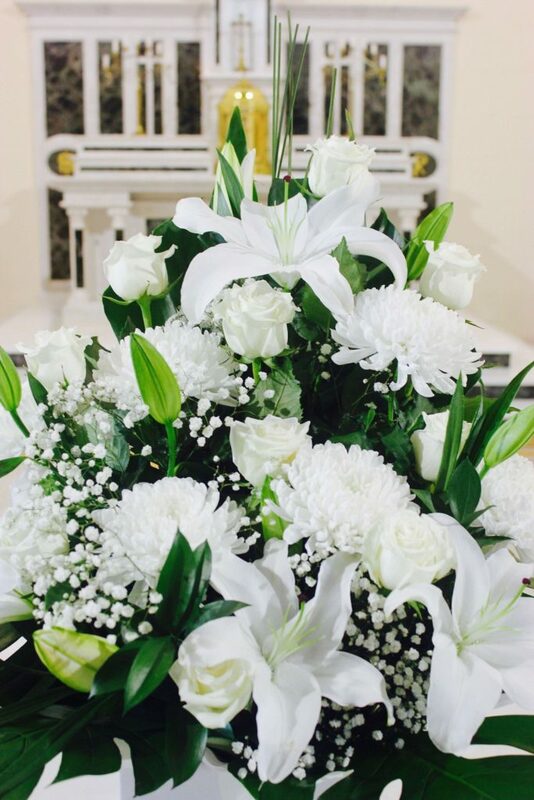 His 50th Anniversary of Ordination to the Priesthood was celebrated at St Marys Church on 31st May 1998 and following the Mass a celebration was held at St Marys Hall. In 2004 Fr Jim Petry retired. From February 2004 to May 2011 Fr Ossie Louis was the Parish Priest. During this period the extensive restoration work in the Church started, The work was carried out by Mr Michael Broderick. In May 2011 Fr Joseph Angelo was appointed as Parish Priest. The restoration of the Church was completed in September 2011. A special memorial mass was celebrated by Most Rev B.J Hickey, The Archbishop of Pert. In September 2013 the Parish centre was exclusively given to Aranmore Catholic College. In return the Archbishop Timothy Costalloe SDB made arrangements with diocesan finance office, the college and the Catholic Education Office to buy a house for the Parish. So the house at 35 Salisbury Street was bought for the Parish to serve as the Presbytery. In 2004 the 80 years old Presbytery was renovated with the intention to make room for Parish office, meeting rooms and Priests residence.